The past week I have been attempting to organize our homeschool supplies. Books, instructor’s guides, new curricula that has started to come into our home. This was going extremely well until I tripped over Izzy’s bone and sprained my ankle. We will get it done at some point! It is time to start organizing everything since our year is almost complete. We have so many old homeschool materials, which is good since Lucy hasn’t even started kindergarten yet. What are you supposed to do with all of this stuff?! It is overwhelming to look at the number of books on my shelves, and the binders of instructor’s guides. As we start to explore environmental wellness in homeschool I knew this would be a good place to start. The hard part about homeschooling is that we have to keep the old homeschool materials. They need to be available for the younger kids as they come up through the grades. But what about the materials that don’t need to be passed on? Do you store the old homeschool materials forever? Maybe you should sell them? Do you donate? There are so many options that it becomes too much to deal with. You get overwhelmed because of the sheer amount of old homeschool materials you have to go through, but then to deal with the ones you want to get rid of? Let’s dig in, shall we? 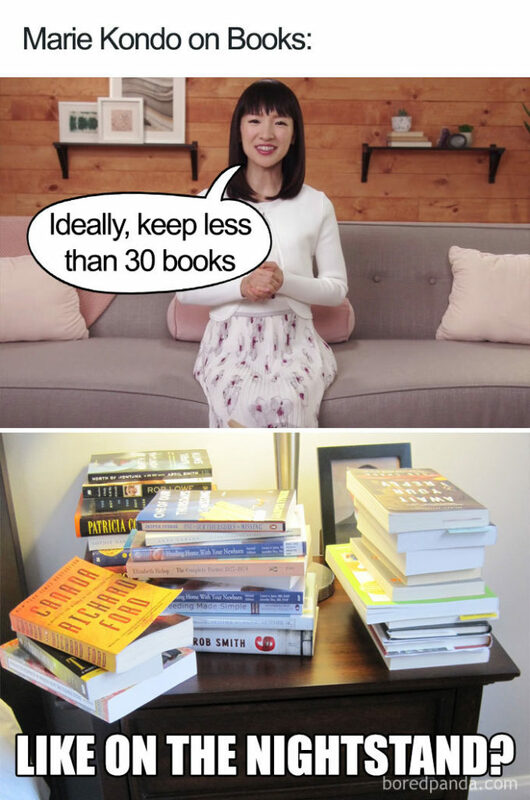 Have you seen the meme going around about Marie Kondo and the number of books you should have in your home? The first time I saw it, I laughed out loud, because this is definitely me. I have books everywhere in our home. We love books, and I believe in keeping a lot of books in our homes. Just the other day Emma wanted to learn about building a snare, and I happened to have a book on the shelf that taught her how to do that. Yes, there is Google and YouTube, but there is something nice about being able to look it up in a book. I am a firm believer in the saying: “Too many books? 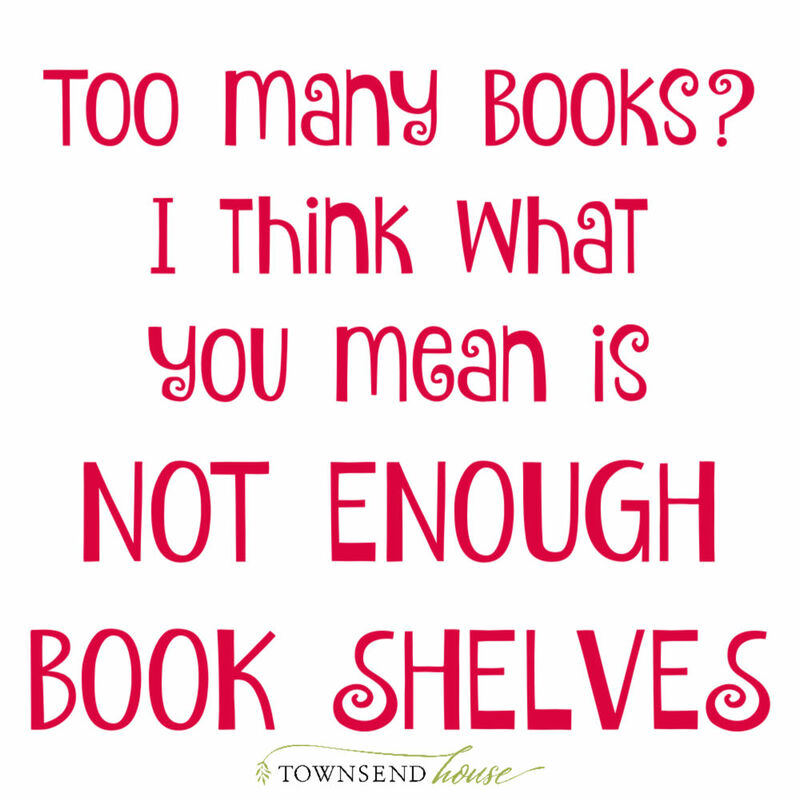 I think what you mean is not enough bookshelves!” And so, we keep books. And continue adding shelving. In fact, I just moved more shelves down into our office/homeschool room so that I would be able to put all of our books on the shelves. I want my kids to have the opportunity to have all of these books available to them. This does not mean that we keep every book forever. We have established my love of books, but that doesn’t mean that we keep all of our books. We have to go through them periodically because we do actually run out of room for them! How do you know which ones to keep? There are a couple of questions you can ask yourself to figure out which books you want to keep and which you want to get rid of. Will I need this book again? Is this a favorite book? These are the questions that you should ask yourself when going through books. Notice I said, “will I need this book again?” The reason behind this is because if you do not need the book, it is one that you can get rid of. If you need the book for another child coming up through homeschool, or it is a good reference book, most likely you will need that book and you should keep it. But, if the book will not be needed then you ask yourself the next question. Is this a favorite book? We have books from my childhood, as well as books from my mom’s childhood. These are favorites. I will not get rid of these. Even when I had no place to put all of my books, we kept them in boxes stored in my mom’s shed, and then in our attic once we bought a home. Eventually, they came out of storage. Organize Books you want to Keep! You can organize your books anyway that you want, but it can be overwhelming when you see the sheer number of books that you own. I have shelves in several rooms of our home, and they are all organized differently. For most of our school books, they are arranged by grade in these square shelves. I found that the 13″ square shelves worked the best because some of the books for early grades are quite tall. 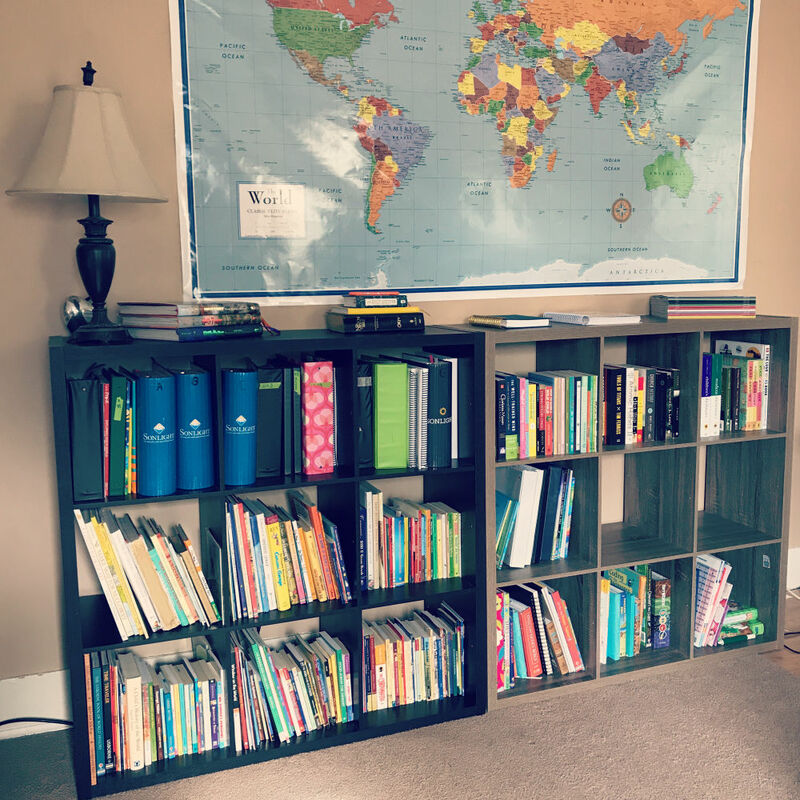 However, as the grades go up, the number of books goes up as well, and I can see that this organization method might need to change as we move through the middle grades into high school. At which point I will most likely need two squares for each grade level rather than one. I have separated out our science books and our readers as well. Those are organized by grade in order on multiple shelves. The younger readers are on our built-in shelves in our dining room. 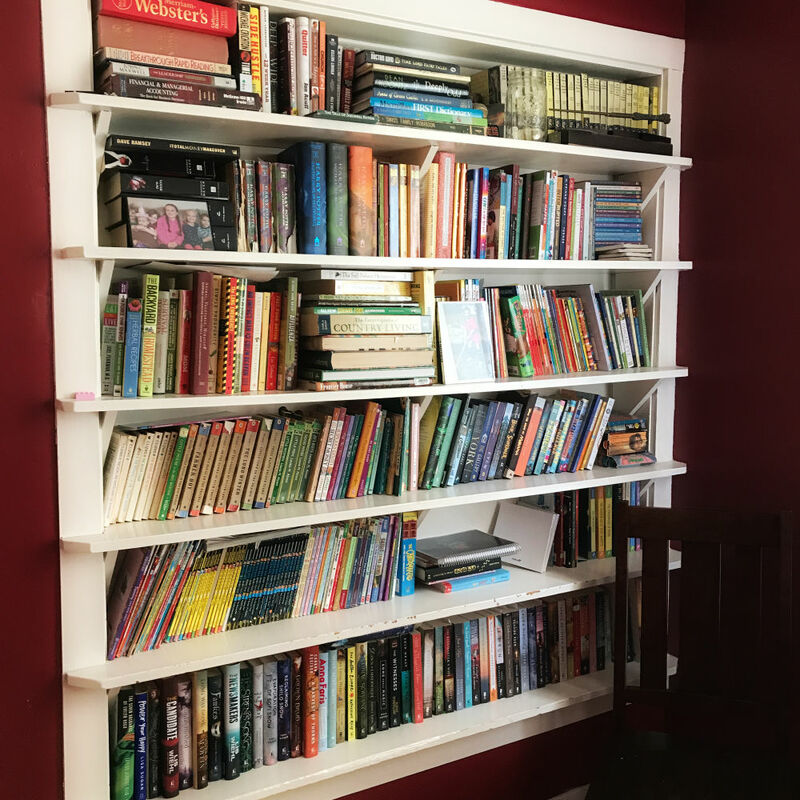 Part of the reason for this is because I wanted the kids to have access to any of the books they wanted, but I did not want all of the core books that we use for grade levels to be mixed together…or carried off to some unknown part of the house. I am not one for labeling books either but recently purchased some colored stickers so that I could color code the books by grade level. That will hopefully help when I am searching for books that inevitably escape our homeschool bookshelves. I categorize all our other books by type. Gardening and homesteading books, Bibles and Devotionals, mothering books, my favorite books, children’s books from my childhood, non-fiction memoir and productivity type books, and then an immense amount of advanced reader copies for book reviews that I work on for some publishing houses. I tend to pass the last category on often if I can. Fiction is also much more likely for me to let go of. If it is something I really loved and think I might read again then I will hold onto it. Or if it is a book I think my kids will enjoy at some point, I will hold onto that as well. But, overall, fiction gets donated to the library. I use kindle unlimited and hoopla to read on my kindle or to listen on my iPhone for most of my fiction now. If it is a book I really want I will purchase it on Kindle, it has to be something amazing for me to purchase a hard copy now though. That is usually reserved for reference books that I know I will want to look at again and again. My dream is to have a library in our home. Maybe someday! Until then this is what works for us. What do you do with Books you no longer want? For a very long time, I didn’t get rid of any books. Well, except my western civilizations and philosophy books from college. But, then I realized that we had a lot of books that we no longer needed. I finally took the plunge on purging. If you have books that you want to get rid of, there are several options available. You can donate them to the local library, you can donate them to GoodWill or Salvation Army. You can bring them to your church if that would fit. Or you can sell them. You have several options for selling books. You can sell them on Amazon by setting up a seller account. There is a $.99 transaction fee for each sale. You either can mail the book to an Amazon fulfillment center or you can ship it yourself. 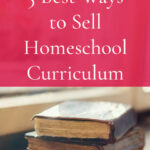 Other options for selling homeschool related books are Facebook groups, Craigslist, and homeschool groups. Books you want to keep but don’t have room for! Not having room for books is the most common problem. We want to keep all the books, but we don’t have the room for these books. You could be like me and add more shelving to your home (if you have the wall space for it!). But, if you don’t have room for shelving, you can box up the books and store them in your attic or a closet in your home. You can either sort your books by type, or grade level. Store your books by grade level in order to easily pull out what you need. All the books we used for kindergarten would go in one box, we would label it, and then it would go in the attic. If you have a lot of books for one-grade level, split it into multiple boxes, your back will thank you! The key is to label everything so that you can find it later on. Curricula can be a little bit of a different beast than books. The reason, a lot of it can become outdated. I pass down curricula from Emma to Jack, and eventually to Lucy. When there are updates that have been made, I end up purchasing a new instructor’s guide, or new worksheets for Jack or Lucy. I am going through that process now since Lucy will be starting school in the fall. I have been going through all of the old curricula that I have saved to see what will still work, what needs updating, and what I need to get rid of. If you have subsequent children that are going to be completing those grades eventually, it makes sense to save the materials. 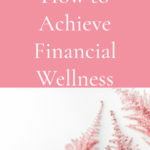 It is hard enough to find financial wellness in homeschool, we don’t want to worry about having to buy new curricula for each new grade and each new child! So you go through what you have and update it if you need to. If you have put your last little one through kindergarten, what do you do with the old kindergarten curricula? This is a question that comes up a lot. You no longer need to keep the curricula that you have, but you don’t know what to do with it. You have a few options. Selling it, donating it, or trashing it. It will all depend on the condition of the curricula that you want to get rid of, as well as how old it is and the type of curriculum it is. This should be the easiest to know, but often it is the hardest to do. You know that the curriculum is outdated, there are missing worksheets, it is in bad condition. You ought to trash it. The hard part is the memories associated with that curricula. Obviously, you taught your kids using these materials, and you want it to mean something. But, holding onto old curricula that is outdated and beat up is not something you need to do. Recently I went through old instructor’s guides that I had from when Emma and Jack were in pre-school and kindergarten. It was hard to let go of that information, but since it was from so many years ago, I did. I knew that it needed to be updated. Even though I was meticulous in keeping it, I knew that it was no longer going to work, and I had to get rid of it. If you have curricula, or instructor’s guides, that will not work for another person because it is so beat up or because it is too old, let it go. If the curriculum is still in pretty good order, donate it. There are a lot of co-ops that will welcome that kind of donation. If it is more than papers, like books and manipulatives for math, look for a homeschool organization in your state that you can donate it to. This is the easiest way to get rid of old homeschool curricula. You don’t have to deal with the emotions of throwing it away, and you don’t have to worry about pricing it and selling it. Selling is the most lucrative, but also the most difficult. You have to figure out what price you want to sell it for, and then where to actually sell it. Because of this, we will be spending the next post talking only about selling used homeschool curriculum. Your first step is to go through it all though. Figure out exactly what can be sold, and then put it aside for the next step. 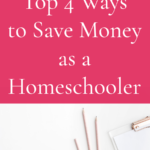 As homeschoolers we are in our homes a lot, and surrounded by a lot of curricula and books. It isn’t a bad thing at all, but it can become an emotional drain when we can’t find what we need. Or if we are overwhelmed at the sheer amount of materials we have. If that is you, just start. 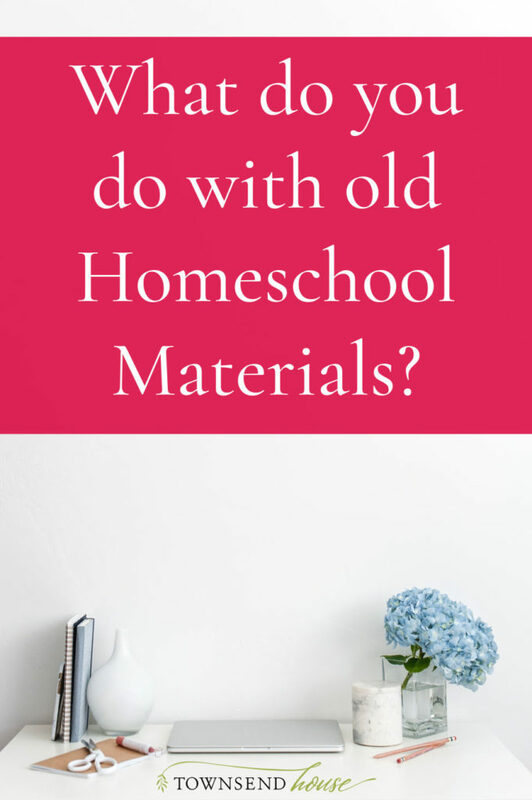 This is the end of the homeschool year for most homeschoolers, and the perfect time to figure out what to do with all the old homeschool materials. It is a process, that is for sure. And it will take a while to figure out what you want to keep, what you want to sell, and what you want to get rid of entirely. But, when you are finished you will feel lighter. You will be organized, and you will have a plan for all the new curricula that you will be acquiring over the next few months in preparation for the next school year. If you made it through this entire post, I applaud you! It was a long one, but making sure that our old homeschool materials are well taken care of is pretty important in the grand scheme of environmental wellness in homeschool. As we move throughout the rest of this series, I hope that I touch on all of the points you need help with the most. 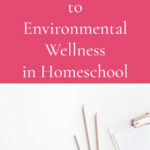 Please let me know in the comments the struggle that you are having with environmental wellness in your home and homeschool. Is it the visual clutter? A specific room? Is it the items you use to clean your home, or the natural environment around you that cause you the most trouble? Let me know in the comments below! Or you can e-mail me directly here.